Fairly common among people in their 30s and 40s, degenerative disc disease (DDD) is lower back pain caused by any change in the formation of the cushioning discs in the spine. It should not really be called a disease as it is caused by the natural progression of the body as it ages, but medical practitioners refer to most changes in disc formation as degenerative. A significant amount of work injuries of the spine are due to exacerbation of degenerative disc disease that may not have been painful in the past. 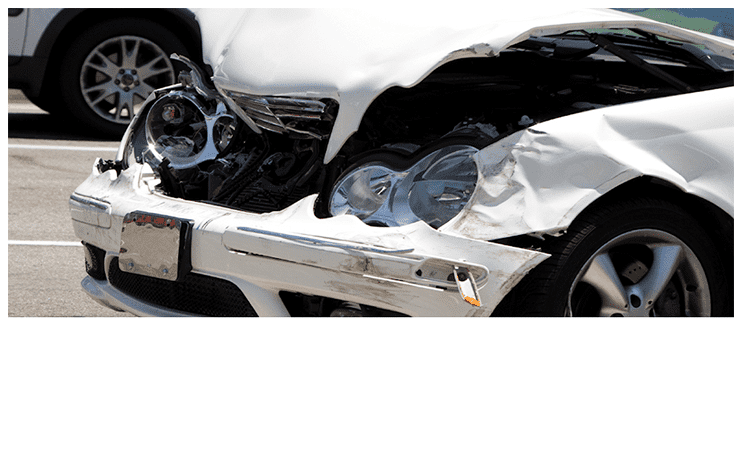 An activity at work may lead to a tear in the disc and significant pain, necessitating treatment with a workers compensation doctor. What are the common symptoms of Degenerative Disc Disease (DDD)? Aside from (sometimes acute) pain in the lower back, the pain may increase when r epeating certain positions. A sitting position actually places the highest amount of stress on the disc. Pain may increase for weeks at a time and then dissipate. Unfortunately, sometimes it just does not go away! 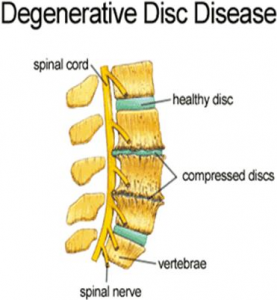 What is the cause of Degenerative Disc Disease? Discs mainly act as a cushioning device for the bones in our spine, keeping them from hitting each other whenever any form of physical activity is performed. Over time the discs start to flatten, or dry up, from too much wear, usually starting from the age of 30. Any change in the formation of the discs is called degenerative disc disease. There is not one cause for this condition, except to avoid positions that put more pressure on the discs. Sitting down, bending, and twisting are pressure positions for the discs, as opposed to standing or lying down. Injuries at work may cause pain to worsen, genetics plays a role, and repetitive activities over time may cause degeneration. As it is a natural aging process, there is not a way to completely halt the discs from weakening. There are preventative measures to strengthen the spine. Enhancing levels of physical activity and flexibility can help the spine to get stronger. A daily exercise routine or yoga sessions multiple times a week can help immensely. Medicinal intervention such as painkillers and inflammatory medications may provide temporary relief of symptoms, but it is a better option to strengthen the spine for the long-term basis. Sitting for long durations can take a toll on spinal health. A short walk, eating healthy, vitamin-rich food, and giving up on smoking also helps. 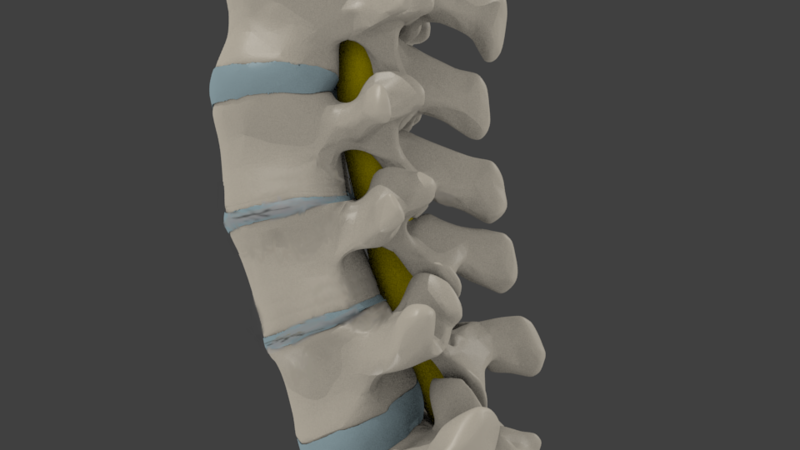 Is there a cure for Degenerative Disc Disease (DDD)? There is no known cure for degenerative disc disease as of yet. Preventative measures are the only way to ward off progression of this condition. Therefore, make sure your spine is taken care of as much as possible. What are common treatments for Degenerative Disc Disease? Non-operative care is the first course of treatment for patients suffering from back pain derived from degenerative disc disease. Generally, the physician will recommend a combination of noninvasive treatments. While there is no sure way to permanently eliminate symptoms of degenerative disc disease, there are many methods to maintain and manage issues associated with the condition.